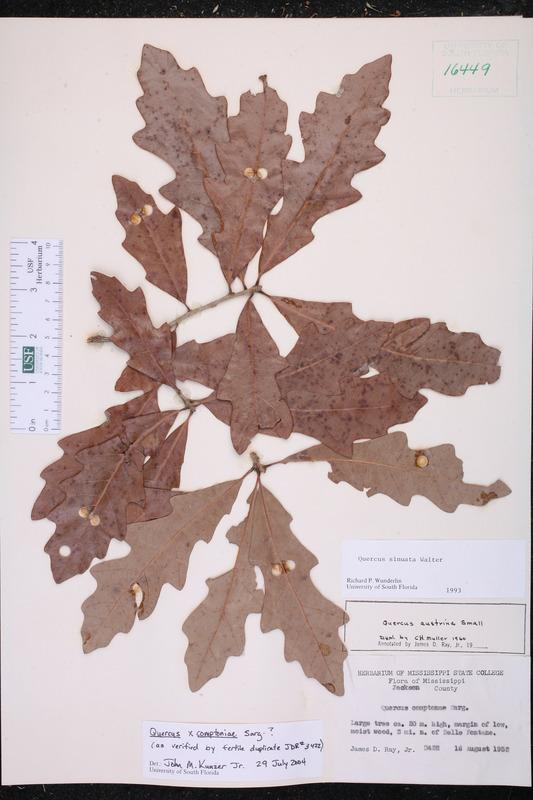 Species: Quercus x comptoniae Sarg. Species Quercus x comptoniae Sarg. 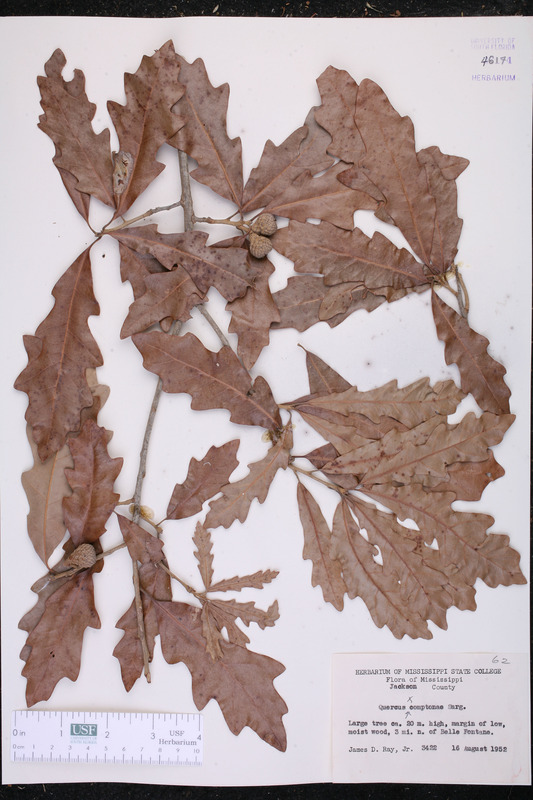 Citation QUERCUS X COMPTONIAE Sargent (Q. lyrata x Q. virginiana), Bot. Gaz. 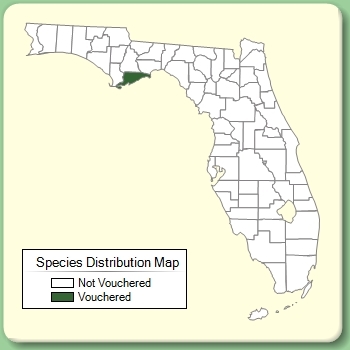 65: 456. 1918. Type: MISSISSIPPI: Adams Co.: Natchez, 17 Apr 1915, Compton & Sargent 1 (holotype: A? ).